is One of Sports Nuts Inc. Highest Goals. 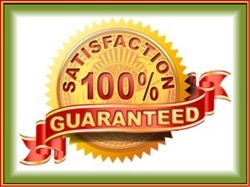 Sports Nuts Inc. Is Certain That You Will Be More Than Happy With Our Products and Service. However, In the Event That You Are Not Completely Satisfied Sports Nuts Will Correct the Problem. One May Return the Product (Include Copy of Receipt of Purchase) Within 30 Days of Shipment for Product Replacement or Refund. Please State the Problem and Include Your Email Address for Quick Communication. A Replacement Product Will Be Shipped to You at No Cost. Figure of Equal or Greater Value.